Duluth is once again the starting point of our adventure. This time, we will cross over to Wisconsin following Hwy 535 south towards Superior. When arriving in Superior we followed highway 53 all the way to Parkland and then hop on highway 13. The road follows a dense swampy forest with no easy access to the water, which means “No view”. At Cloverland Hwy 13 makes a sharp turn north, and a few miles down the road we finally reconnected with the Lake. The only lighthouse on that stretch of road is located in Superior Wisconsin Point. History: In June of 1893, a skeletal frame structure of twelve-inch square timbers was moved to the pier on the southeast side of Superior Entry, where an elevated walkway was built to provide access to the light in stormy weather. In 1906, congress appropriated $20,000 for range lights to mark the new south pier. 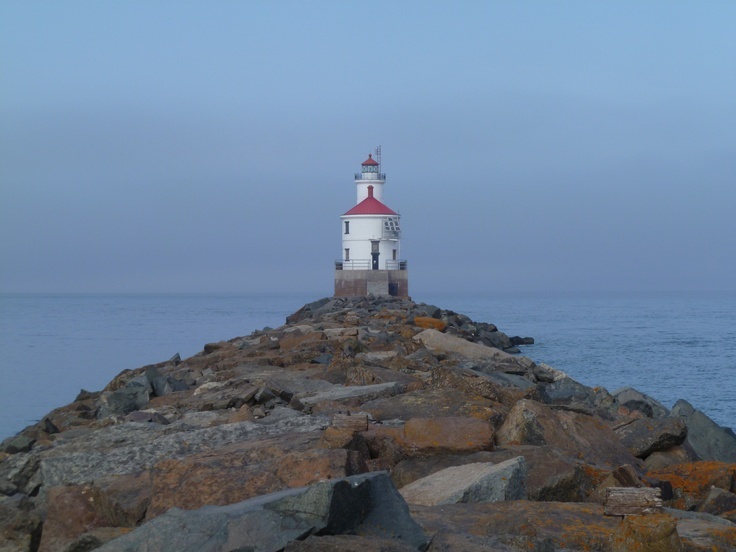 The Lighthouse Board requested an additional $25,000 to cover the light and fog signal on the southern breakwater, and three non-attended acetylene beacons to mark the piers and northern breakwater. Superior Entry Lighthouse went into commission on June 30, 1913. The station was automated in 1970. Note: The area is not as busy as Park Point in Duluth, so if you enjoy a peaceful spot, this may be the place for you. You can walk on the rocky pier to get to the lighthouse (bring good shoes), and watch for boats entering the harbor, or the many birds flying around, including bald eagles. When we finally reconnected with the lake, the next lighthouse we came across was on one of the Apostle Islands. There are 21 islands in this area of the lake and a few visitors’ centers can help with your visit. One is located on the north side of the peninsula, Little Sand Bay Visitor Center and the other one is on the East side in the charming town of Bayfield. Most of the Lighthouses are only accessible by boat. One of the best way to visit the islands is by sea kayaks, but requires some expertise. When you find a lighthouse, you will most likely find a campground nearby. Camping is available on 19 of the 21 islands administered by the National Park Service. Permits are required for all campgrounds. History: The lighthouse located near the western end of the Apostle Island chain, was built in 1881 and was the first of the group to be automated in 1921. Note: Close to the mainland, it is easily accessible by sea kayaks or private boat. There is no dock at the lighthouse, and in the summer, volunteers provide tours of the site. History: Construction of the lighthouse on the island began in 1861. The lens of the lantern was crafted in France and took months to make its way over the ocean an across half a continent. It finally was installed in July 1863 when the station officially began operation. 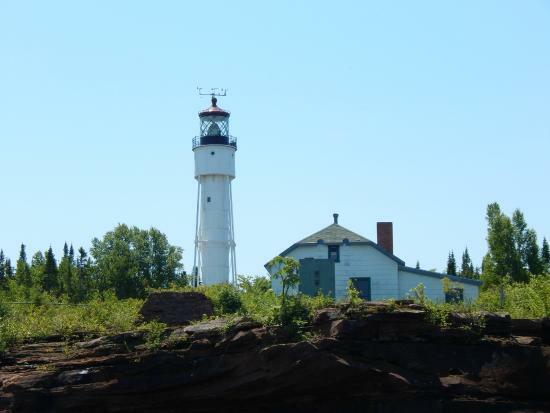 Note: In the summer Apostle Islands Cruise Service tour boats stop on the island and rangers conduct tours of the historic tower making it one of the most accessible lighthouses of all 6 stations. History: The Devils Island temporary beacon started its operation in 1891. Six years later work began on the permanent tower. Like the previous lighthouse, the lens took three years to arrive from Paris, and the permanent tower was placed in service in 1901. Note: The Island is one of the most remote islands of the chain, which make it a little bit more difficult to access. That said there are several landing sites, making it accessible in a variety of wind conditions. Tour boats do not stop at the island, but if you reach the island the lighthouse is staffed with a volunteer during the summer season. History: Outer Island is the most remote point, and the lighthouse was built in 1874. It is the first lighthouse of the chain guiding boats past the archipelago. Note: The Island is not served by scheduled cruises except in September when the cruise service provides special trips as part of their lighthouse celebration. It is not recommended to attempt the trip by boat or sea-kayak, the exposed location of the dock makes landing impossible. 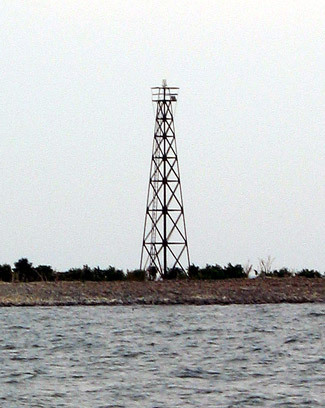 The lighthouse on Gull Island is a skeleton pylon resembling a telephone tower. It was erected in 1929 in the middle of the island to avoid the repeat of the wreck of steamer Captain Thomas Wilson in 1921. 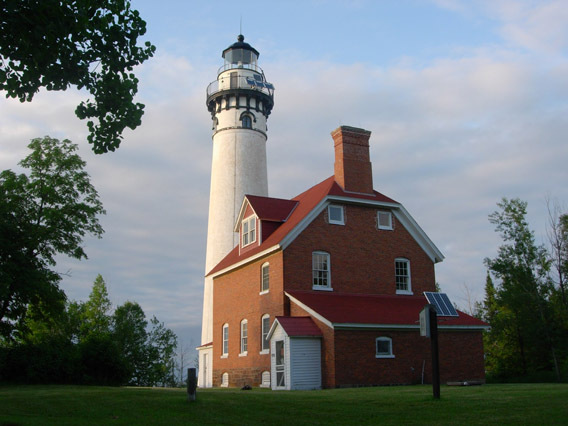 History: A confused contractor’s crew built the first lighthouse in 1856 on Michigan Island. A year later it ceased operation and a new lighthouse was built at the original planned Long Island location. 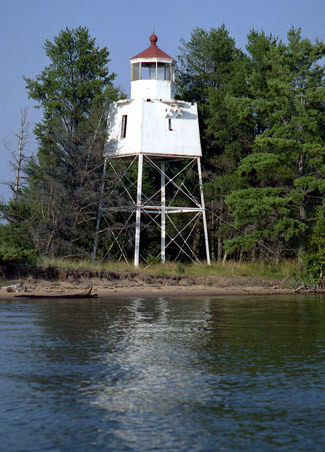 It took more than 15 years to realize a taller tower was needed in this location and when the Lighthouse Service discontinued operation of the Schooner’s Ledge light on Pennsylvania’s Delaware River near Philadelphia, the cylindrical steel tower was disassembled and brought to Wisconsin. Note: This Island is also difficult to access. There are no scheduled boat services going there. 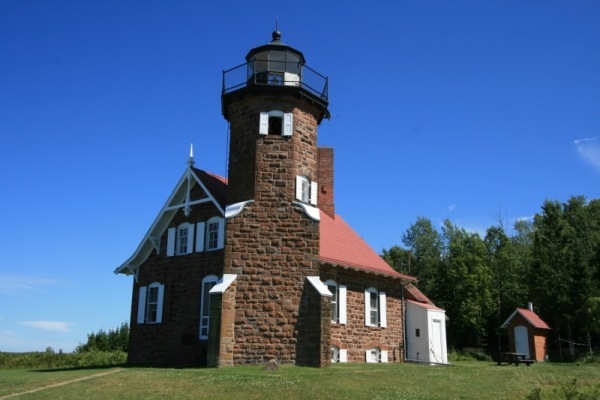 La Pointe Lighthouse is located on Long Island across from Madeline Island, the largest and easiest accessible of all the Apostle Islands. The island is connected by regular boat service from Bayfield. 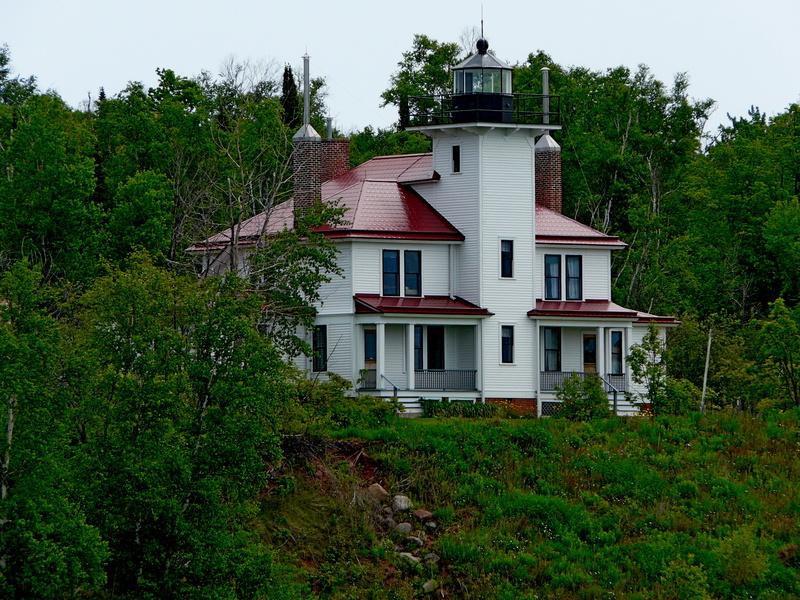 La Pointe lighthouse was established in 1858 to mark the southwest side of Madeline Island. 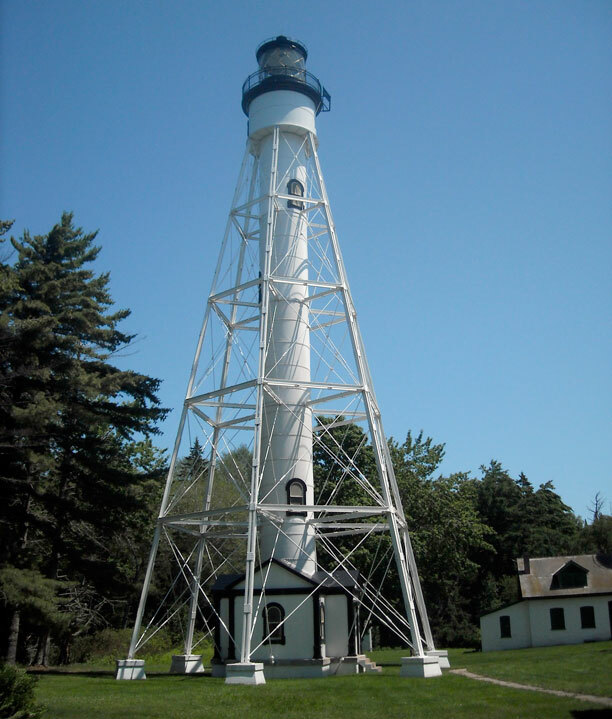 Later, when Ashland became the dominant port in the late 1880’s, another light was needed to mark the western extremity of Long Island known as Chequamegon Point. 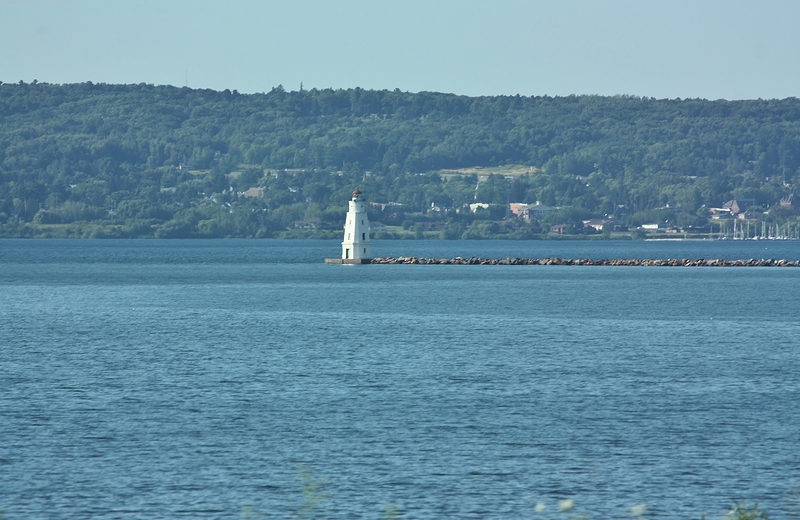 Both lighthouses are easily visible from the southern tip of Madeline Island. Between 1889 and 1893, a breakwater was constructed northeast of the harbor of Ashland as a protection for ships during northeast storms. In 1911, a fixed lens lantern was established. Today’s lighthouse was placed in operation in October 1915. The light was automated in 1962. Accessible only by boat, the lighthouse can be seen from the shore. Stay tune on our journey into Michigan and the 31 lighthouses that protect ships from the shore of that stretch of Lake Superior. Disclaimer: Thank you to the National Park Service for providing some of the information for this post. Next Post How to survive winter in the Upper-Midwest?